3Have obtained CE,FDA and ISO certificate. Rotational molding technology provides much more strength, seamless, impact resistance, rub resistance. The thick insulation layer with the import polyurethane, does not add any chemicals, environmentally-friendly and odorless. 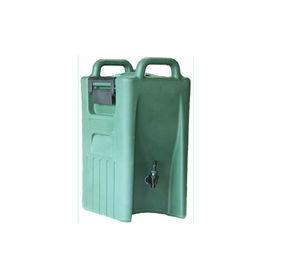 This container can be used to hold hot or cold beverage and has excellent insulation performance (temperature in the container goes up or down 1.5 degree every hour approximately) Keep coffee, drinks or fruit juice fresh avoiding repeated heating.It’s an energy saving product without plug-in power. 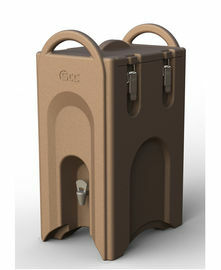 Meet the requirements of beverage drinking temperature up to 24 hours. 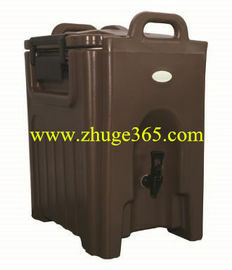 Widely used in hotel, KTV, cafes, western restaurants.